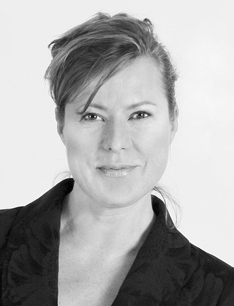 Philine von Sell is the founding partner of Circle of Values Communication GmbH. For many years now, she has been advising companies and institutions on the subject of strategy and integrated communications and developing visual concepts, exploring them as a director and photographer. Aged only 20, she founded her own film production company in Hamburg. In 1996, she was appointed professor at the University of Television and Film Munich (HFF) heading the newly established Department of Advertising, Public Relations and Corporate Film. Between 1998 and 2004, Philine von Sell devoted herself to the support of AIDS orphans in South Africa and initiated the “LifeTime Gallery Project” to promote the creative potential of young adults. Since 2006, she has been running the project gallery HofmannVonSell in Berlin together with her husband. Philine von Sell’s films have won national and international awards (28 awards and accolades 1989-2009). Her photographic works and multimedia installations have been shown in solo exhibitions in museums and galleries in Cape Town, Johannesburg, Berlin and Cologne (Collection of the German Bundestag, collection of Count Faber-Castell and various private collections). With Circle of Values, Philine von Sell unites her fields of expertise into a new and holistic concept: Artistic integrity, social responsibility, action-oriented consistency and communicative competence.